As you see, this produc comes in a small 59mL bottle with a nozzle opening. The bottle instructs to put two to three drops of the product into thickened polishes. 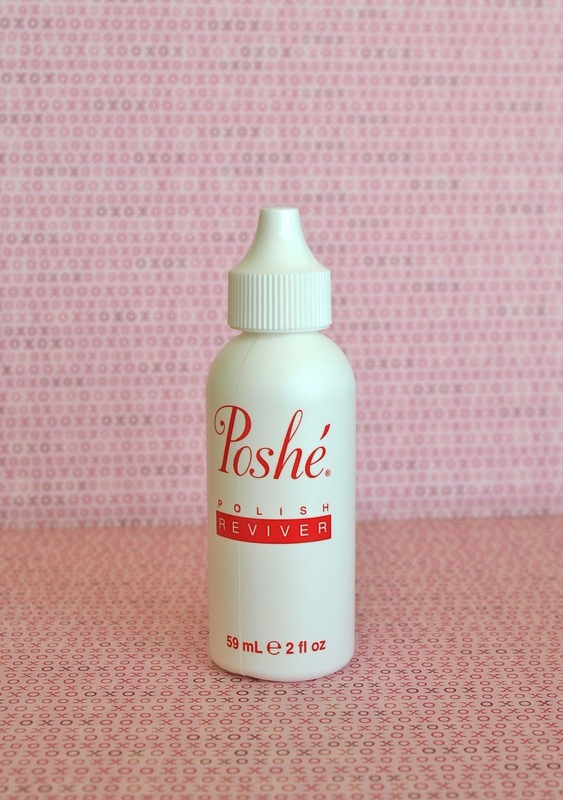 However, I found that for most of the polishes that I wanted to thin, I needed around five or six drops. After you add in the reviver, you should roll the polish around between your palms to mix. It also says in bold "DO NOT SHAKE". I believe it is to prevent bubbling. But anyhow, for a few very thick polishes I did shake (gasp, I know), and everything was fine. Overall, the product works very well. It has "revived" quite a few of my Juleps. The only downside about this product is the nozzle. Because the bottle is flexible, when you squeeze it, a gap actually forms between the base of the nozzle and the mouth of the bottle, so some product leaks out of the gap when you try to squeeze a few drops out of the nozzle. It's not a huge issue, but you might get some spillage. Also it is very important that you store this in a cool place and make sure the cap is tightly screwed as the solvent is very volatile and will evaporate over time. To show you how well it fixed one of my polishes, here is a picture of me wearing two coats of "Dianna" from Julep. Once incredibly thick and goopy, "Dianna" now is a smooth beauty. Do you use a polish thinner? If so, which brand do you use?